Reaching in a good SE breeze. 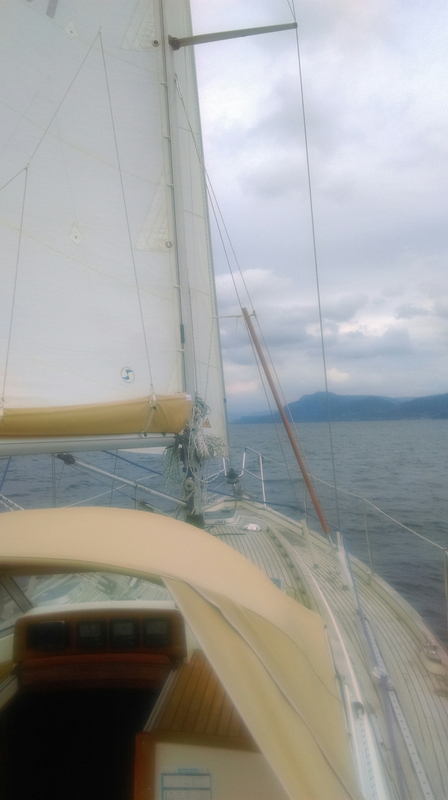 Both sails, 6-7 knots. Wonderful!